What to do with a rainy Saturday in London? 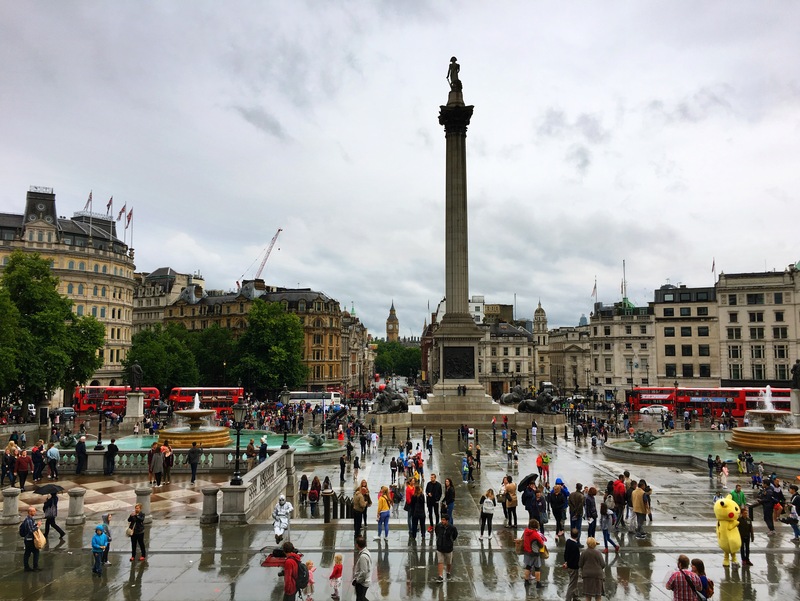 Sleep late, breakfast on Nutella and English muffins (here they’re just called “toasting muffins”), and head out to see some of London’s indoor sights. 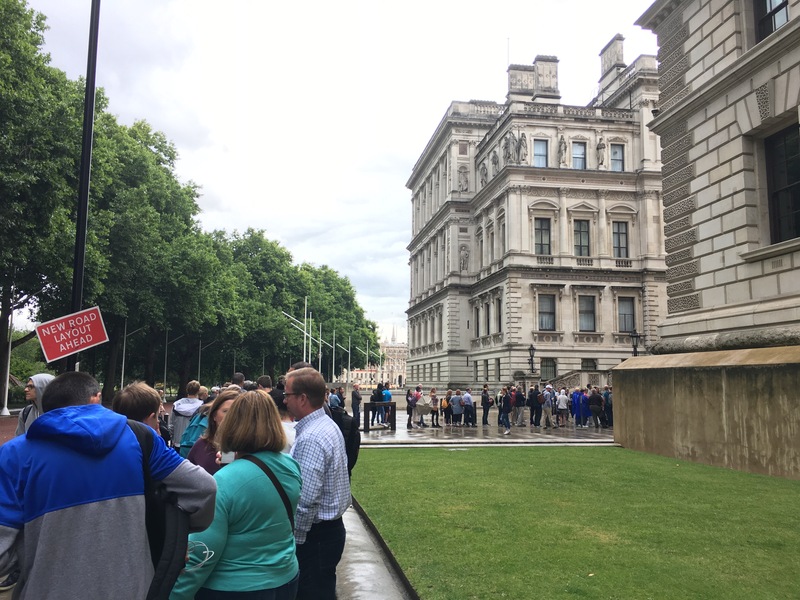 The Churchill War Rooms were at the top of my list, but the line — I just couldn’t even. 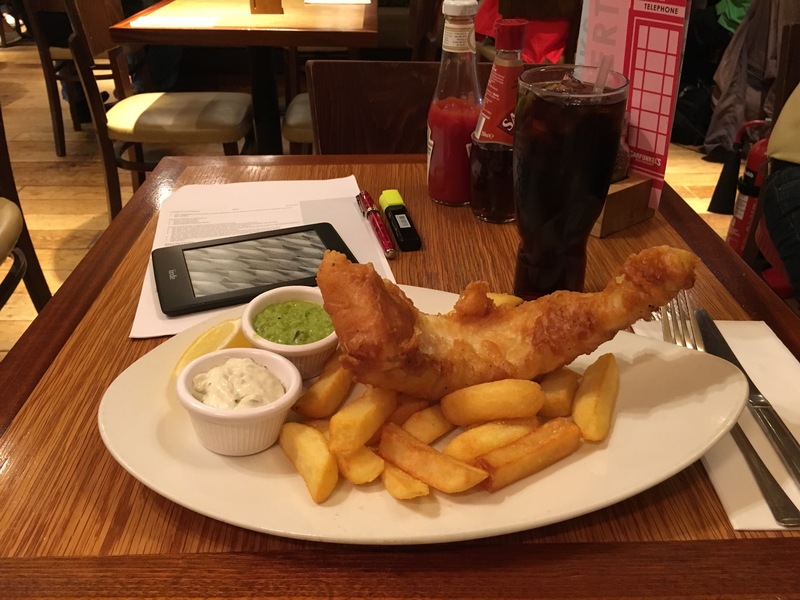 So I went for fish and chips instead. Since the line for the War Rooms was just as long after lunch as it was before, I decided to recycle that idea for another day (oh, the beauty of living here!) and headed for the National Gallery instead. I worked my way through in basically chronological order. 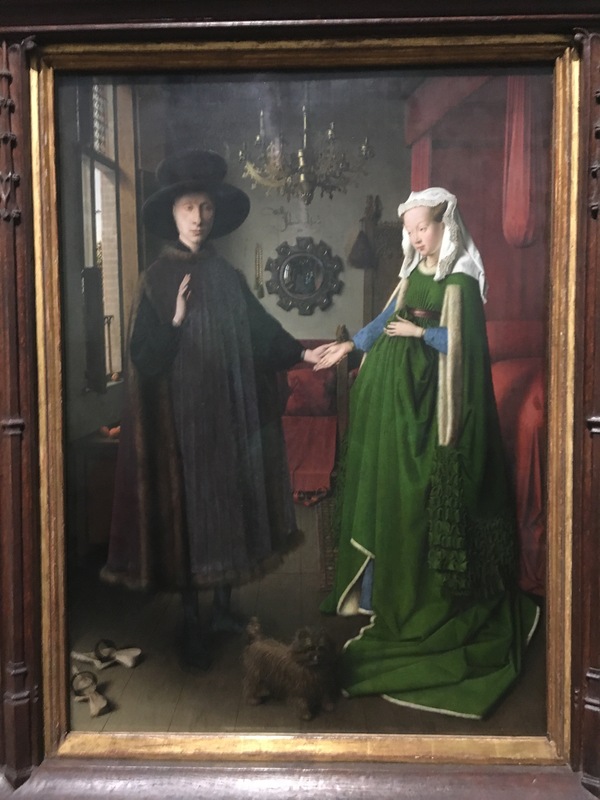 My favorite thing is always that late Medieval/early Renaissance moment when suddenly faces switch from the stylized figures of early religious art to being real people. 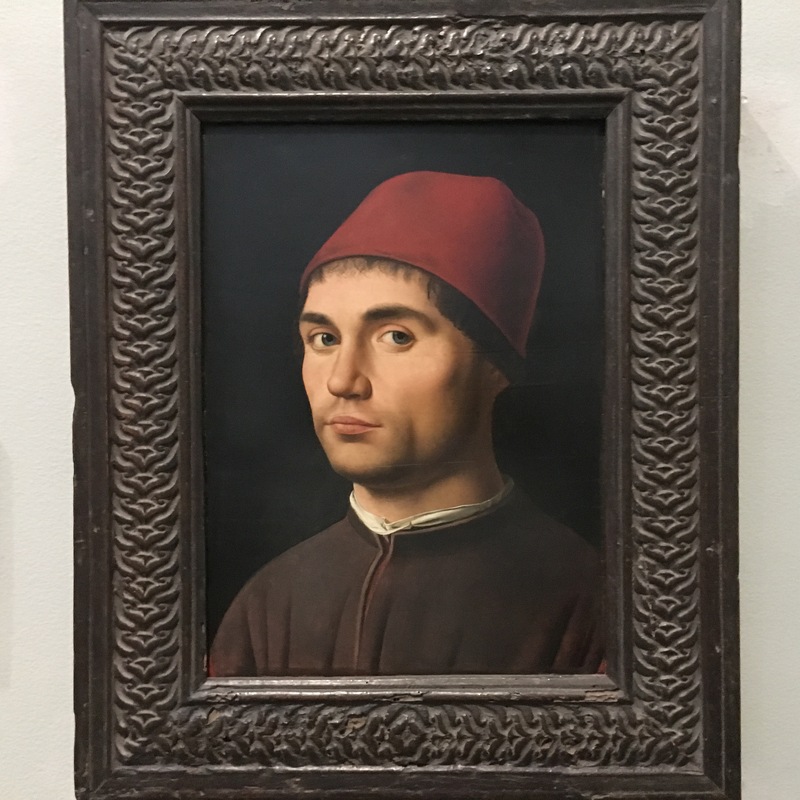 Today I spent a lot of time focusing on the portraits, wondering what the people were like, how old they were, and how the rest of their lives played out. 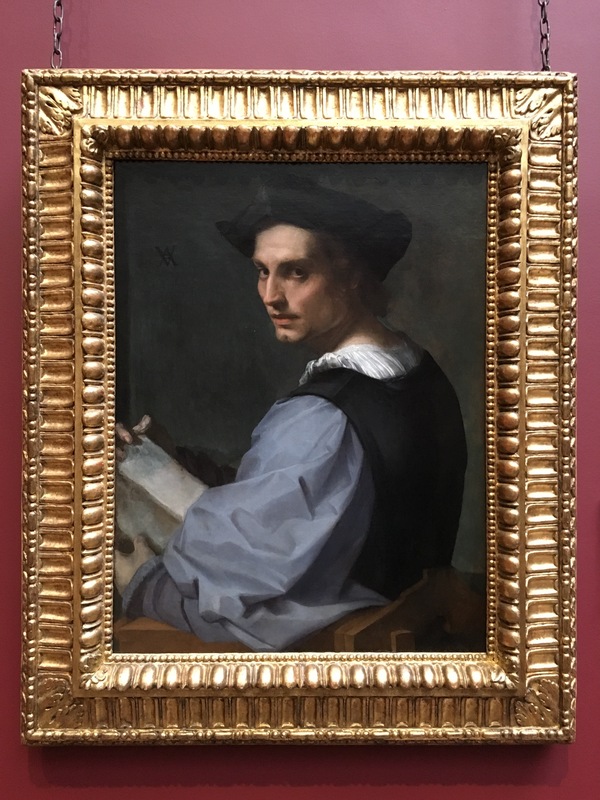 I also like seeing evidence of humanity and the artist’s observations come through in the more mythical paintings. 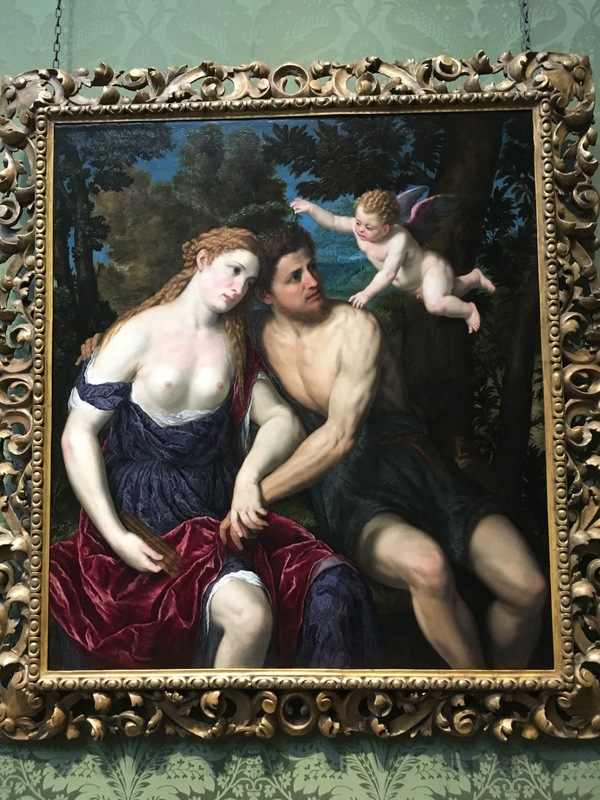 In this one, for example, the woman isn’t all that interesting to me–just a idealized beauty–but the guy looks so specific I can imagine the real person sitting there as a model. And my favorite part is the cupid’s face. It’s hard to see in the photo, but the expression looks exactly like the expressions I’ve seen on my nieces and nephews when they were looking intently at something and trying to figure it out. You know the artist had spent time with a baby to get that look right. Of course, capturing reality isn’t everything. 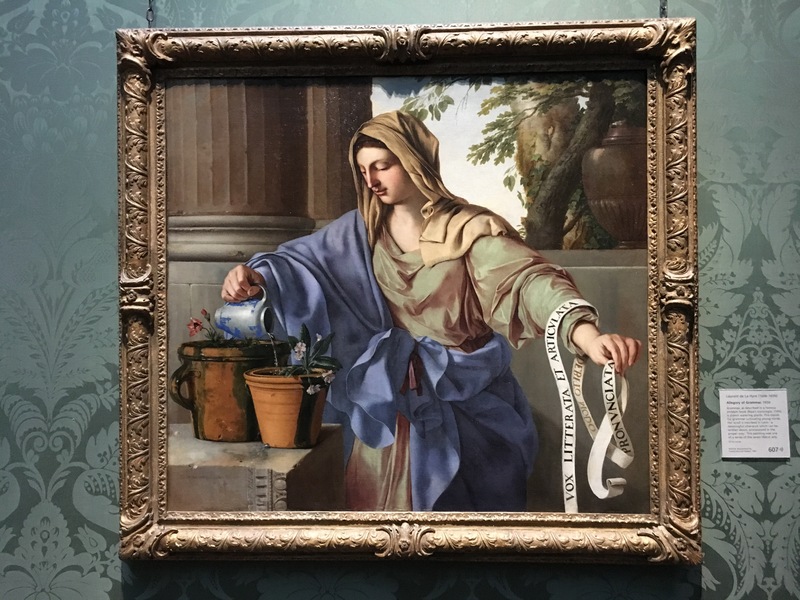 Sometimes you just have to have a painting of “Grammar” watering plants as an allegory for how she nurtures young minds. Museuming is exhausting. I may have snuck a surreptitious nap sitting up on one of the benches pretending to read my museum map. 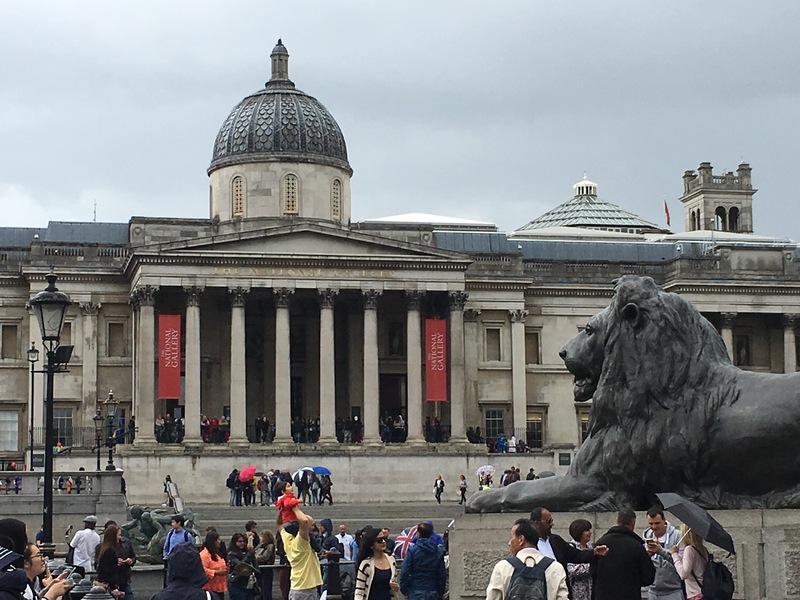 But I made it all the way through (except for all the stuff I skipped) and emerged onto a rain-slicked Trafalgar Square. That’s precisely what I look like when I teach grammar.